Darwin's gradualism is under the hammer blow of modern scientific discoveries . We are finding the opposite is true when it comes to Darwinian evolutionary imaginitive stories . 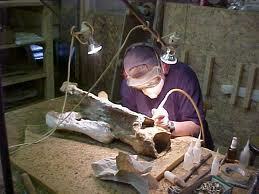 Paleontologists are not discovering evidence demonstrating species changes into different genus . Paleontologists have been long aware of a seeming... contradiction between Darwin's postulate of gradualism and actual findings of paleontology . Following phyletic lines through time seemed to reveal only minimal gradual changes but no clear evidence for any chance of species into different genus or for the gradual origin of an evolutionary novelty . Anything truly novel always seemed to appear quite abruptly in the fossil record . One long argument ; Charles Darwin and the Genesis of modern evolutionary thought , 1991 , 138 . Cambridge Harvard University Press . WHY such a BIG UNIVERSE containing so much MASS ? "WE now MAKE the RULES ." Is the claim . Are you interpreting the FACTS correctly ?